October 17, 2015 will mark the 100th birthday of the American Pulitzer Prize winning playwright and prominent public figure Arthur Miller. To build awareness of the works of one of the iconic American writers of the 20th century and to commemorate the occasion, Cité des Arts is partnering with the Lauren-Reilly Eliot Company, Acting Unlimited (AUI), Wanderlust Theatre Co., the Cane Fire Film Series and others to produce the Arthur Miller Festival Series. The Lauren-Reilly Eliot Company opens the Festival at Cite Des Arts with their production of one of Arthur Miller’s most famous plays, 1949’s DEATH OF A SALESMAN from January 17, 2015 to February 1, 2015. 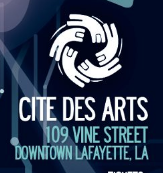 In May, Cité des Arts will produce 1956’s A VIEW FROM THE BRIDGE (from May 8, 2015 to May 17, 2015 at Cite Des Arts), and AUI will contribute THE CRUCIBLE (at Theatre 810 from May 22, 2015 to May 30, 2015). In June, American history professor, Dr. Nina McCune will conduct a seminar on HUAC and the Hollywood Blacklist at Cité; and in July, the Cane Fire Film Series will screen Miller’s “The Misfits”. Wanderlust Theatre Co. closes the year long collaboration and celebration in December with 1947’s ALL MY SONS at Cité des Arts. The Festival continues to reach out to area theatre companies and other producing entities for participation, so watch for future announcements regarding further productions and programs throughout the year.